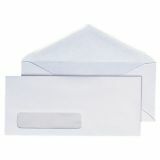 Plain white envelopes for general use. 24 lb. 500 per box. 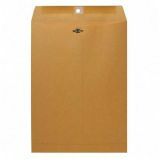 Brown kraft 32 lb. paper. Large seams. Large flaps. 100 per box.